Copyright © 2017 Utility Survey Exchange. All rights reserved. Strikes on buried utilities endanger life and limb, cause interruptions to critical services and cost the UK economy millions of pounds every year through disruption and lost time. The utility companies that own the buried assets provide maps showing their locations to people who are digging up the roads. It is a real challenge to maintain these maps with the latest and most accurate information available. Inaccurate and incomplete maps have been identified as a major cause of utility strikes, and increase uncertainty and cost for construction projects. Much buried infrastructure is old, and maps were created before technology allowed accurate location capture. The positions of buried assets were often defined relative to above-ground features which may have been moved or removed. It is a major headache keeping maps up to date in a constantly changing environment. Utility strikes are dangerous, both to the personnel directly involved and, in some cases, to the public at large. Damage to buried assets can have public health implications, and directly and indirectly impact the economy. It is estimated that the wider societal cost of a utility strike is almost 30 times more than the cost of repairing the damage. Even when utility strikes are avoided, inaccurate maps introduce uncertainty about underground assets which increases the cost and risk of construction. Inaccurate maps endanger lives and cost money. Utility ownership is complex and fragmented. When personnel carrying out activities on the ground uncover discrepancies between the actual disposition and the map, it is extremely difficult to feed this useful information back to the asset owners. 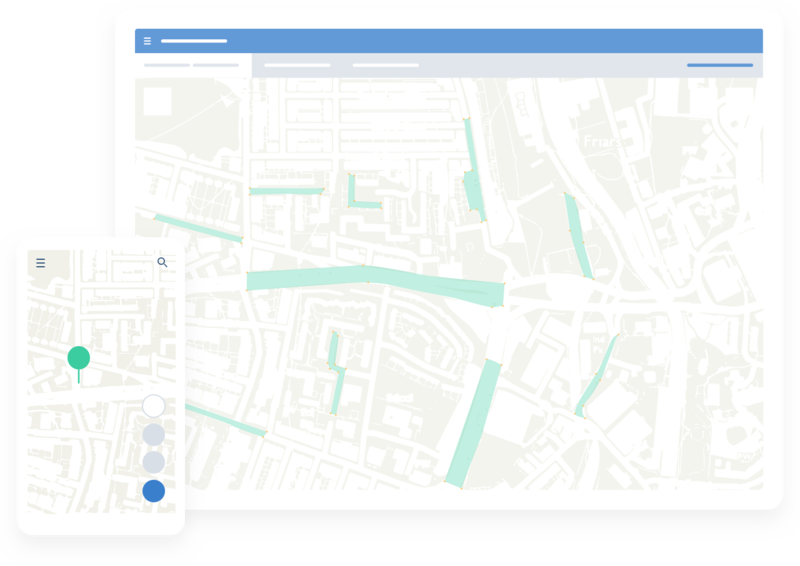 There is no single point of contact for feedback from the field, so information that could be used to maintain and improve asset maps is lost. Wouldn't it be great if the latest and most accurate asset location data could be made available to the companies that own and maintain those assets? We have defined an operating model and a technological approach that allows the controlled circulation of the latest high quality, high accuracy asset location data for the benefit of all. We provide a mechanism for survey companies to upload high quality survey data, along with meta-data relating to data quality and confidence. We process this data and extract separate streams based on content and quality which can then be shared with the owners of the assets in question – and only with them. We provide tools for operatives working in the field to easily and quickly report errors on maps that they have received, or the presence of unexpected assets in unexpected places. We do the hard work of routing those reports to the appropriate asset owners – and only to them. High quality utility survey data is captured every day by highly-skilled surveying personnel using the latest detection technology. We provide a mechanism for controlled sharing of this data with the owners of the assets, and tools for quickly and simply reporting useful information from the field. Advanced tools support the selection and incorporation of the latest data into core systems, allowing circulation of improved data through existing channels. Our aim is to enable the controlled circulation of high-quality, high-accuracy asset location data to the benefit of everyone working in the streets and to the ultimate benefit of all consumers of energy, water and telecommunications services. and keep up to date with our latest activity.